Stevens became one of the nation’s leading and most controversial suffragists, so passionate about women’s voting rights she was willing to picket the White House and face arrest. Stevens served as editor of The Register at what was then Omaha High. At a time few women went to college, she graduated from Oberlin, where she was introduced to the suffragist movement. She joined up with Alice Paul of the National Woman’s Party and they took their cause to Washington. In 1917, they began picketing outside Woodrow Wilson’s White House, the first time any group had ever picketed a president. The militant tactics drew criticism, including from Stevens’ own mother. Police began to break up the peaceful protests, and Stevens was among many arrested. But amid continued pressure and controversy, the president soon came out in favor of women’s right to vote, a bill passed Congress in 1919 and in 1920 the states ratified the 19th Amendment. 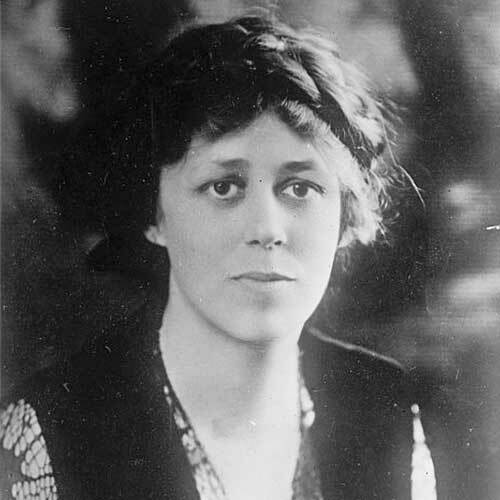 Stevens in that same year wrote a book about her experience called “Jailed for Freedom” that became an important historical account of the suffragist movement. She continued to push now-accepted feminist causes, including the right to work and equal legal rights in marriage, before her death in New York City in 1963.